It's official: the days of "dictator" managers are over. You know, the traditional business model, where the people in power mattered more than everyone else, and you wouldn't dare question anything your boss said or did? Now, it's all about positive workplace culture. And democratic decision-making, where all voices matter. Employees aren't going to keep quiet if treated unfairly, or be so "thankful" for their jobs that they won't demand better pay or working conditions. It's 2019, and employees have more power than ever before. They can destroy a brand by sharing their grievances on social media. They can give a business a poor rating on workplace review sites, and scare off good applicants. In the end, your team members will just up and quit if they feel mistreated or undervalued. People won't stick around in a job they don't like. The average person changes jobs 10-15 times during their career! And everyone knows the cost of replacing and training new employees is extremely high. So what do people expect from their supervisor, team leader, or business manager in 2019? What are the leadership qualities and skills you need to succeed in these roles? Take a look at 4 major ways business management is changing, and how to stay ahead of the curve. It's not enough to just tell people what to do, and then sit back and judge their performance from afar. These days, managers are much more focussed on getting to know their team members—really connecting with them in meaningful ways. Engagement can range from simple acts (bringing in donuts) to more profound gestures—like calling staff members your "partners" and really treating them as equals. The point is to inspire employees to invest in their jobs and feel proud of the business. Isn't that what we all want? Remember: The benefits of employee engagement aren't just more warm and fuzzy moments at the office. This approach has proven financial benefits. Research shows that businesses who really connect with their workforce perform 200% better than those who don't. So, as you tackle your first leadership job after business management training, keep in mind that engaging with your team is definitely worth the time and effort. Gone are the days when managers did performance reviews once a year, and that's the only feedback employees ever got. These days, people (especially millennials and Gen Z-ers) expect regular feedback on how they're doing, and recognition of hard work. As a manager, it will be your job to set weekly, quarterly, and yearly targets for your team members. You'll have to get personal, and figure out where their strengths lie, what weaknesses they need to work on, and how to share criticism in a positive way. Remember: In 2019, performance reviews go both ways. You should also be asking your staff what they think about your management style. Do they have any concerns? Are there areas where you could improve? Do they have the tools they need to do their jobs well? Asking employees to give feedback on your management technique is an excellent way to help them feel engaged, included, and respected. Let's say a team member tells you they really want to learn a new skill, or take on a new challenge at work. Do you just ignore their wishes because you're happy with the role they're in, and don't want to shake things up? Or, do you take the request seriously, and start looking for ways to help them reach their goal? If you want the employee to stick around, you'll definitely go for option 2. Research shows the number one reason people quit their jobs is because they don't feel fulfilled, challenged, or listened to. They're bored, and don't see a future for themselves at the company. Listen carefully to what your team members want. Pay attention to their goals, and find ways to help them tackle new challenges, and feel like they're growing at work. This is definitely a key objective for all modern business managers. Hoping to get hired by a truly inspiring company after business management training? Want to work with a company you can believe in? Where your boss has a strong set of professional values, and really sticks by them? Trust us—your future staff will want the same thing. More than ever, people want to work with organizations that stand for something. When you become a supervisor or team leader, you'll need to walk the talk. You'll be representing the values and ethics your company stands for. And your employees will be watching closely, to see if you're authentic. For example, if you say you really believe in open communication, helping your team members succeed, and listening to feedback on your performance—you'd better make sure you act that way! Managers who pretend to care, but don't, lose respect at lightning speed. Interested in learning more about becoming a business manager? Considering business training to qualify for promotions, and get the confidence needed to lead a team? We'd love to hear from you. 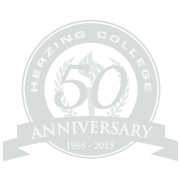 Use the links below to explore the Business Management Diploma offered at Herzing College Ottawa. This program takes just 12 months to complete, and includes a guaranteed 4-week internship at a local business or organization. Get fast, free information about admissions, tuition, courses, careers, and whether you'd be a good fit for this training. See a detailed course list, and an overview of the training program. Connect live with an experienced advisor, to plan your next steps. We're here to help!